The Mane Objective: Back to Basics: Is Pre-Pooing Really Necessary? Back to Basics: Is Pre-Pooing Really Necessary? 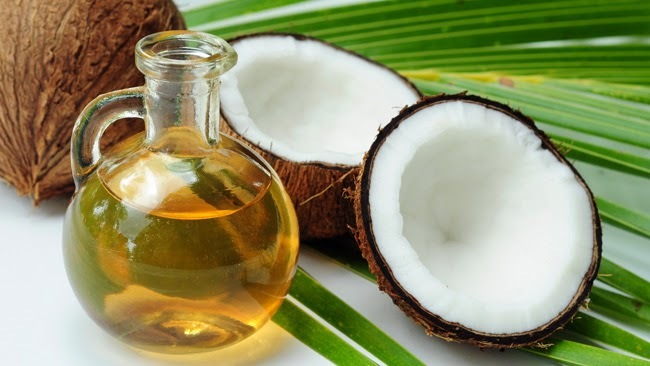 Coconut oil is one of the few oils that is able to penetrate the hair -- making it both a moisturizer and a sealant! As a transitioning and natural hair blogger, I love to observe (and sometimes participate in) the waves and trends that roll through the natural hair community. First, it was all about growth, length retention, and proving that textured hair could be just as fab (if not moreso....but hey, I'm biased) as straight hair. Now, some of our favorite bloggers and YouTubers are doing second and third chops, and tapered cuts are taking the reins. Coloring natural hair used to be met with the side eye, but now bright and bold colors are everywhere -- with only a marginal few claiming that hair dye strips you of the title of naturalista. What used to be a race for the most complicated regimen is now met with "ain't nobody got time for that" and a supreme side eye. The current trend in minimalist/lazy natural hair care has ladies looking to eliminate the fluff from regimens, focusing only on what's necessary. Which brings me to this point: is pre-pooing a necessary step in your wash day regimen? Could that 30 minutes to an hour be better spent, or eliminated to truncate wash day? The answer isn't as cut and dry as one would think. The real answer depends on what you're using to prepoo your hair, who's advice you trust, and what has yielded the best results for your own head of hair. Let's explore the two most common pre-poo methods, and what folks have to say about them over at NaturallyCurly.com!